Hey there! I just came back from Pune; I had gone there for my cousin brothers' thread ceremonies. Last night, we had a society-function on my building's terrace, and so I slept at 1:00. And I got up at 5:15 in the morning as the muhurta of both the ceremonies (they combined the ceremonies) was at 10:30. We had to leave from Mumbai at around 6:30. Just imagine how less I must have slept. I pity my dad more, as he drove the car to and fro. Coming to the post, this is the final check-list you have to make before the year 2015 hits our calendars. See to it that you tick all the items off this list. Keep everything aside and make this list. That one thing that you desperately wanted to do, but you didn't. Do it right away. Make resolutions and try to follow them. I know resolutions are made to NOT to be followed. But you can make such resolutions that are possible. You cannot expect to lose 5 kgs of weight if you lead a lazy life or a hectic life. Make such resolutions that are really possible. No matter you decide to lose 2 kgs in a year...that is fine. You will be happy after losing even 2 kgs; trust me. Plan your goals. Just write down simple, long-term, and big (or small) to-dos in your planner or notebook. By the way, you can always use your phone to jot these things down. These goals can include getting a better job, buying a gift for your mom from your first salary, saving money, etc. Buy an agenda/calendar. Buy something of 2015 before the year begins. You need to have something in front of you for a planned life. You can even make a calendar of your own by using this guide. Say sorry and thanks. You know there are many people to whom you want to say sorry, but you can't. Gather guts, and tell them that you are sorry for whatever you did that hurt them. Also, say thank you to all your closed ones and gurus (teachers). Clean and organize stuff at your place/work/car/cellphone. 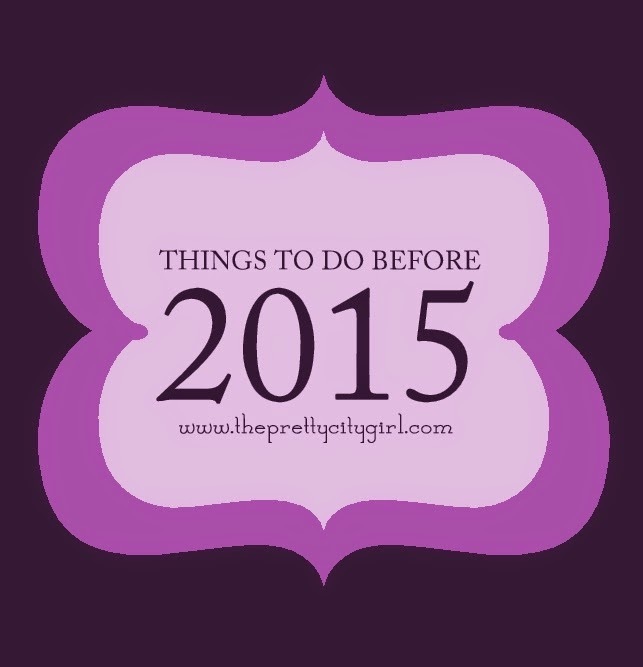 Clean the house, clear that junk, and welcome 2015 with a big smile. Remove all the negative things. Confess your feelings/mistakes/opinions. Just say those words, and chuck everything else. You don't have to worry what will happen next. Say it, and erase all the aftermaths in 2014 itself. Begin 2015 anew. Mark your weaknesses, lessons learnt, and your strengths. If you properly think, you will realize that you did have some weaknesses in 2014--some of your traits that hurt people, bad habits, ego, selfishness, wrong attitude, etc.--mark them and see to it that you overcome them. You must have learnt lessons as well. You must have understood how certain people treated you, how you must behave, what you shouldn't do, etc. in the whole year; take a note of them and keep them in your brain forever, until you die. Also, don't forget to know what your strengths were. All those things that pulled you off from an obstacle or a problem are very important. Keep these strengths with you...and let them benefit you. And lastly, don't forget to ENJOY the night of 31st December, 2014. No matter where you are, how "lonely" you are, with whom you are...you are enjoying the last few minutes of 2014; well, it is my order. Plan the time/party/sleepover with parents, best friends, better-halves, friends, colleagues, college/school mates, grandparents, building friends...or simply alone...reading a book or watching a good movie. You have to enjoy it; promise me that, please!